One of the most popular films of all time is “Groundhog Day,” starring Bill Murray. As the pre-humility Phil Connors, he is the perfect caricature of a self-absorbed personality. This film is a wonderful depiction of the learning of this life lesson about the importance of humility. As you recall, the plot is basically his journey toward humility and service to others. He is rescued from a perpetual loop when he learns the lesson, and can then get on with his life as a more mature and complete person. He intentionally embarrasses her just for the personal enjoyment of it. The exchange becomes the perfect definition of his character, or lack thereof, before learning the lesson of humility. Equipped with his newfound humility, the later Phil Connors is everyone’s friend. He has not only demonstrated to others his appreciation for their presence in his life, but has contributed in many ways to their satisfaction, happiness, and well-being. Everyone has witnessed someone who they’ve thought could benefit from a healthy dose of humility. The kind of people who always have a verbal come-back after someone remarks on having done something or been somewhere. No opportunity passes without them commenting on their own experiences. Only it usually is not just an, “I did that, too.” Typically, this person has done it bigger and better than you did it. If you went up in a balloon, they went to a higher altitude. If you have a favorite pastime, they have already done that long ago. They have an, “I did it better,” for every subject you bring up. They practice this without really realizing how obnoxious it is. In reality, they truly believe they are just being conversational. It all too quickly begins to reflect their own weak self-image. They fail to realize how they have turned the art of simple conversation into a contest–one they feel compelled to “win.” This, of corse, is the complete opposite to humility. Winning this contest is rather nicely exemplified in an old joke. The story goes that a fellow goes off to college and returns after graduation only to be completely surprised at how much his parents have learned in the four years he has been away. He knows he has learned a lot, but lacks the humility to recognize that his parents may have already known much of what he has just learned. Life is not about how much you have personally accomplished, as seen in the attitude of an immature Phil Connors. It is about how much you have contributed to the lives of others along the way. Only after you learn humility can you do this to the fullest extent. Personal growth is a natural byproduct of service to others. As the immature Phil Connors eventually learned, in the face of your inherent drive for achievement and success, the best guardian of your self image, the best vehicle for promoting your own growth, is not a resume full of accomplishments. It is the humility to recognize your own limitations and the contributions that others have made to make your life better. 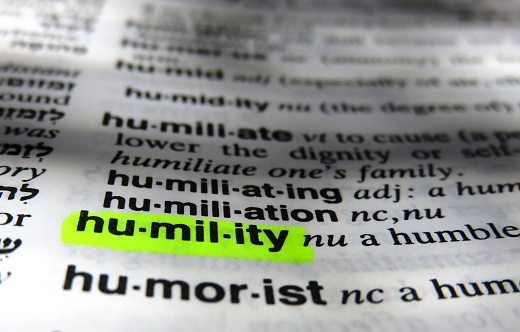 Humility truly is the foundation of all other virtues.